The Queensland Branch of the Australian Gelbvieh Association Inc, is comprised of Financial Full, Financial Life, Hon. Life, Junior and Commercial Members of the Australian Gelbvieh Association Inc. resident in Queensland. Others interested in the Gelbvieh breed are welcome to attend meetings and participate in discussions, but have no voting rights. Members are encouraged to make a yearly contribution to Branch funds. This helps to fund the website and Qld Branch advertising in the Gelbvieh magazine. It also helps to fund advertising and promotion for breed exposure at Field Days and major Fixtures such as Farmfest and AgShow in Toowoomba, AgGrow in Emerald, and the Beef Australia Expo in Rockhampton. 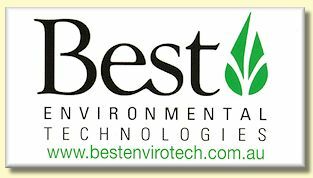 QLD BRANCH and AGA Inc. contacts are listed at the bottom of this page. The members of the Queensland Branch of the Australian Gelbvieh Association Inc. are fortunate to have the use of the website address www.gelbvieh.com.au by kind courtesy of Australian Tropical Gelbvieh - ATG. This readily recognized and easily accessible address was registered by ATG some years ago. We sincerely thank the Kaddatz family for their generosity in allowing the Branch to use it. Access the ATG Webpage and other websites via the MEMBERS PAGE on this website. Please provide news, photos and reports of sales of both stud and commercial Gelbvieh or Gelbvieh x stock. Include sale venue, type of stock, saleyard prices and number sold. Either email or mail to Alison Johnson. 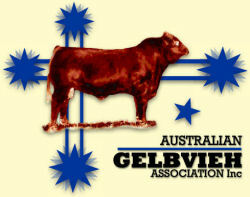 Stock for sale or wanted can be listed on the Australian Gelbvieh Association Inc. website at Buy & Sell. Contact the AGA Inc.
Chris Braithwaite of Midas Stud, Murgon Qld. Former Qld Branch President and Qld Branch Treasurer. Previously served as Chairman and as Treasurer on the Council of the AGA Inc.
Brice Kaddatz of ATG Stud, Gympie Qld. Former Qld Branch President. Elected Chairman of the Council of the AGA Inc.in 2017. Previously served as Chairman and as Treasurer on the Council of the AGA Inc.
Val Rogers of Granite Gold Stud, The Summit Qld. Former Qld Branch Secretary. Julie Nixon of Weetalabah Stud, Dulacca Qld. Current Qld Branch Secretary. Served on the Council of the AGA Inc.
Terry O’Halloran of Terley Stud, Clifton Qld, passed away on 21 November 2015. Members pay tribute to Terry for his contribution to the Gelbvieh breed as a whole, and to the Qld Branch in particular, as a member and former Qld Branch Vice President. In 2016 Honorary Life Membership of the AGA Inc. was awarded posthumously. Contact: The Australian Gelbvieh Association Inc.